The CBCA Short List Picture Books provide many opportunities to explore and engage with quality literature. This term Year 5 will explore the short list books in relation to visual literacy or visual grammar. Visual literacy helps us understand and describe the features of a picture that create visual meaning. We learn who or what is in the picture, the activities involved, interactions between characters, emotions, and how the image catches our attention. We can learn to discover by looking deeper and thinking about what we see. 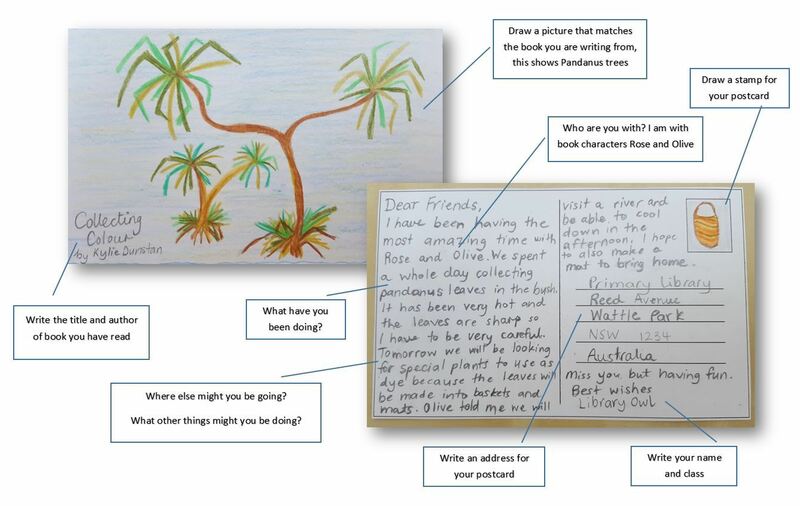 As advised by Callow, 2016 “Talking about the various features of picture books before, during and after reading allows us to teach children about their various features.” Using the CBCA Short List Picture Books offers a perfect way to introduce or extend on visual literacy. 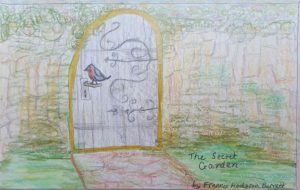 Exploring the themes and issues and applying visual grammar elements allows students to deepen their engagement with the books. 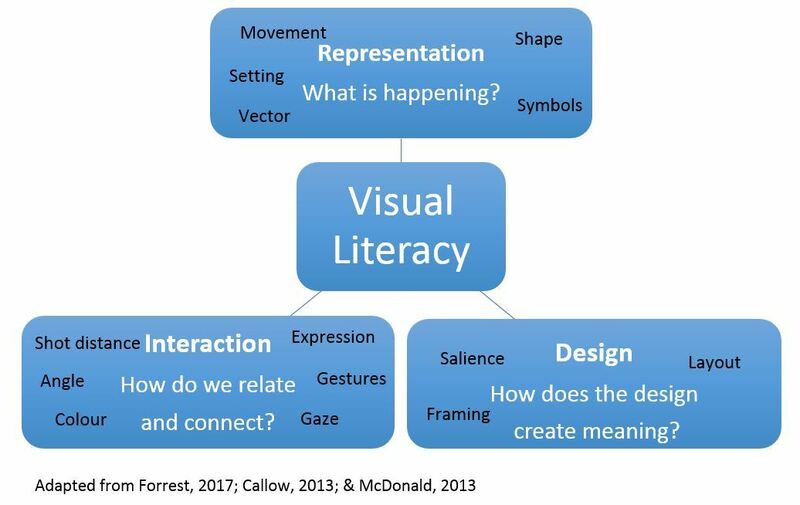 Furthermore, providing instruction and direction to recognise, discuss and label visual techniques will ensure students enhance their visual literacy skills (Forrest, 2017). Below is an example applying visual grammar following the guidelines that I created for student use. 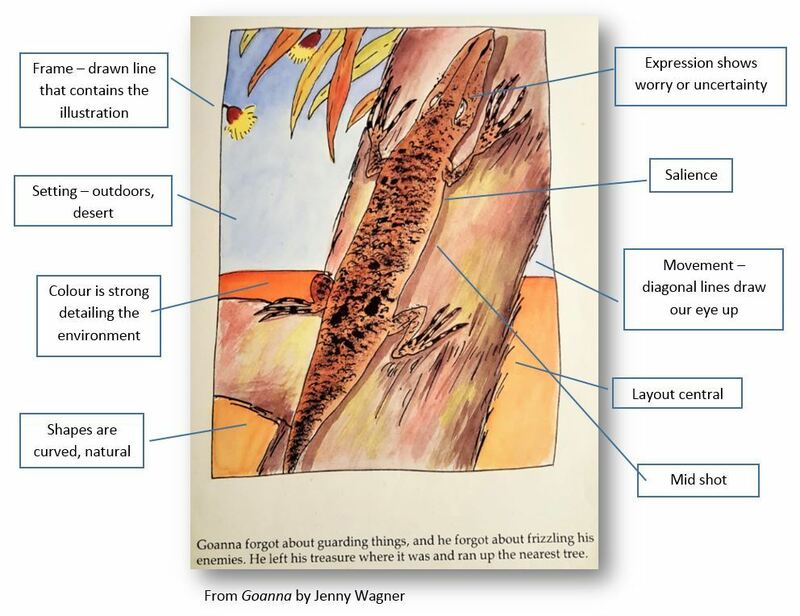 Goanna by Jenny Wagner is one of the first picture books I purchased in my early teaching days, I found it on my bookshelf and so loved reading it again. 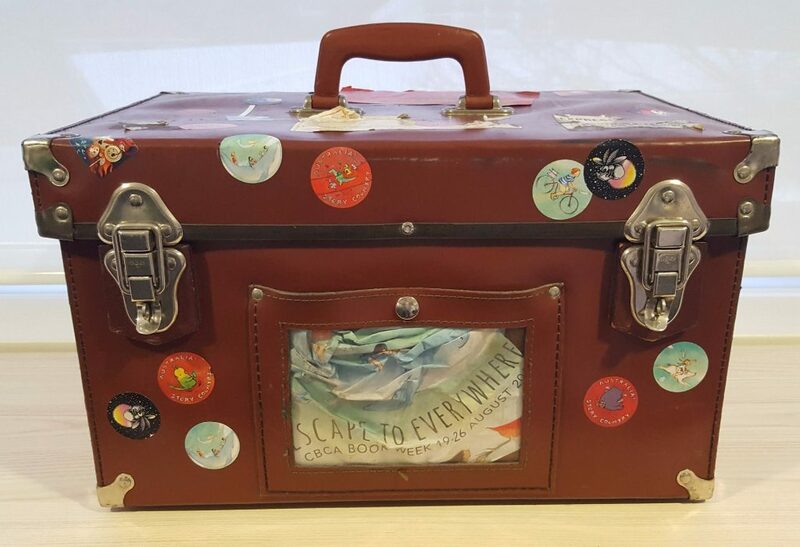 The Children’s Book Council of Australia (CBCA) Book Week 2017 theme Escape to Everywhere opens many opportunities to connect with literature and have fun. In addition to the Missing Book Character Poster activity planned for students in P-2 we are planning a writing reflection activity for Grades 3-4. 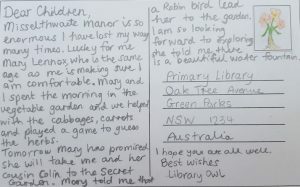 The task encourages students to engage with a book they have enjoyed reading and write a Postcard imagining they are in the story. 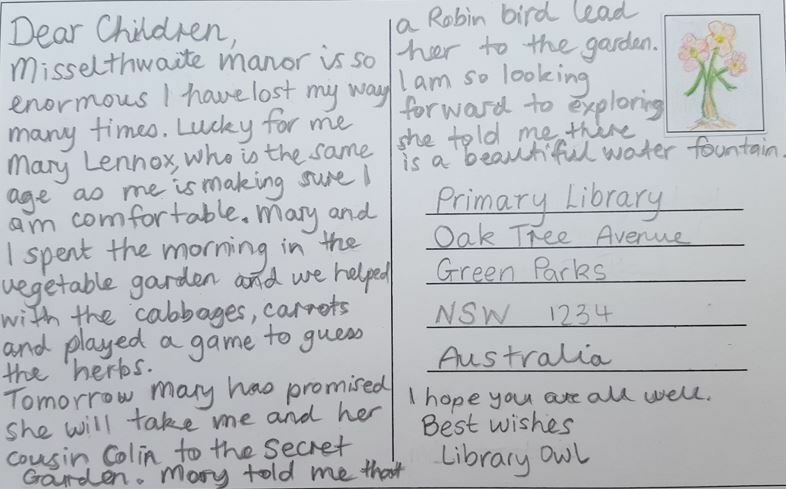 This activity aims to get the student inside the book, experience an event with the character and reflect on where else they could go within the story. 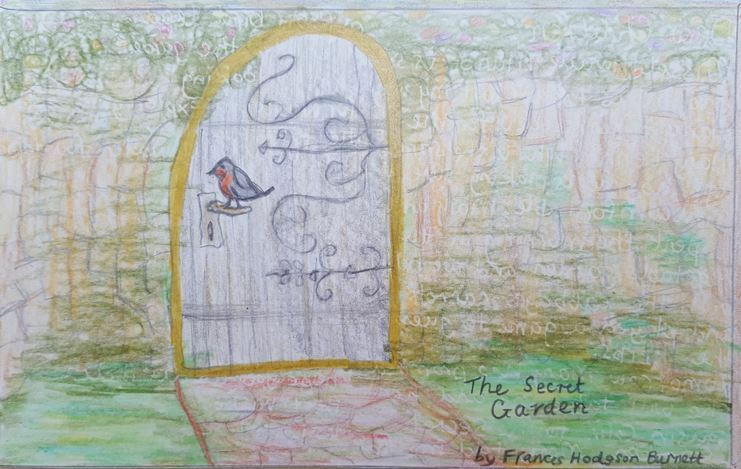 Choose a book you have really enjoyed reading – it could be a picture book or chapter book. Make a list of ideas, the questions below will help get you started – remember a postcard aims to capture where you are, what you are doing. Who is the character(s) you are with? Where are you? What you can see. Where might you be going? I am planning on introducing this as a competition for students in Grades 3-4 to be done at lunch in the library, one entry per student to be entered. If you decide to run this at your school I would love to hear how it goes. The guide and a postcard template is available for download.